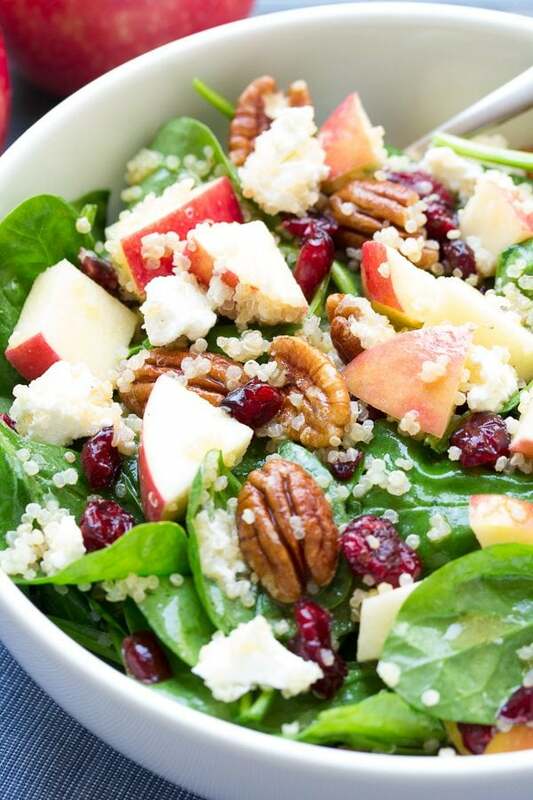 Enjoy this Spinach and Quinoa Salad with Apple as a dinner side dish or a light and healthy lunch! 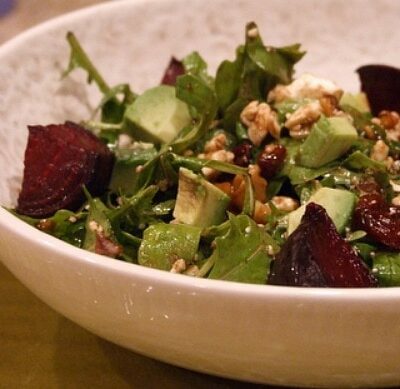 Adding a healthy salad is one of my favorite ways to round out a dinner menu. To keep the flavors fresh and interesting, I’m always trying new combinations of greens, dressings, and toppings on our salads. 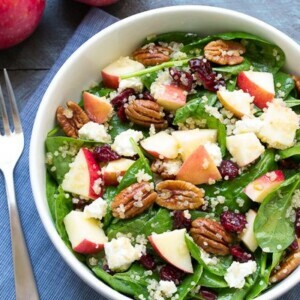 It’s not very often that we add quinoa to our green salads, but after making this Spinach and Quinoa Salad with Apple, that is going to change! We loved the way the quinoa got all happily mixed up with the spinach, and the way it coated the little bites of goat cheese… incredible! 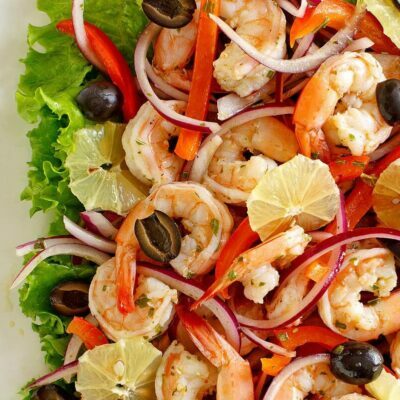 This salad is packed with flavors and textures. 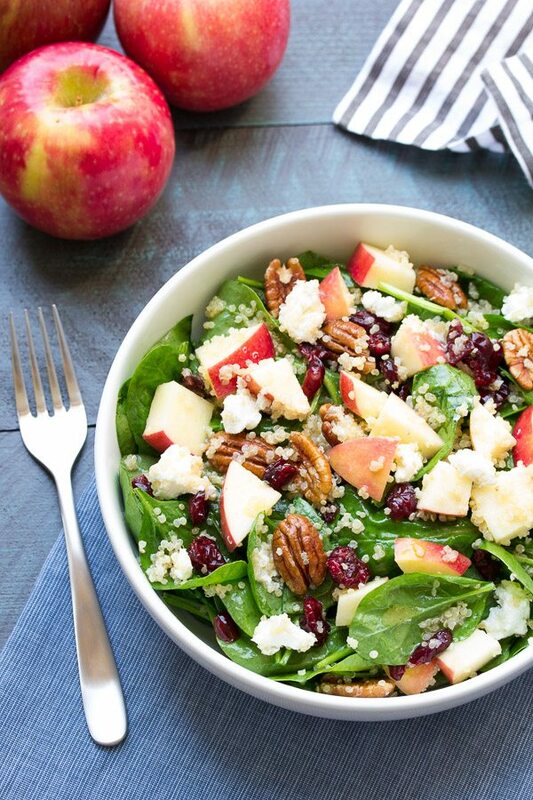 We’ve got sweet-tart apple slices and cranberries, creamy goat cheese, and toasted pecans. 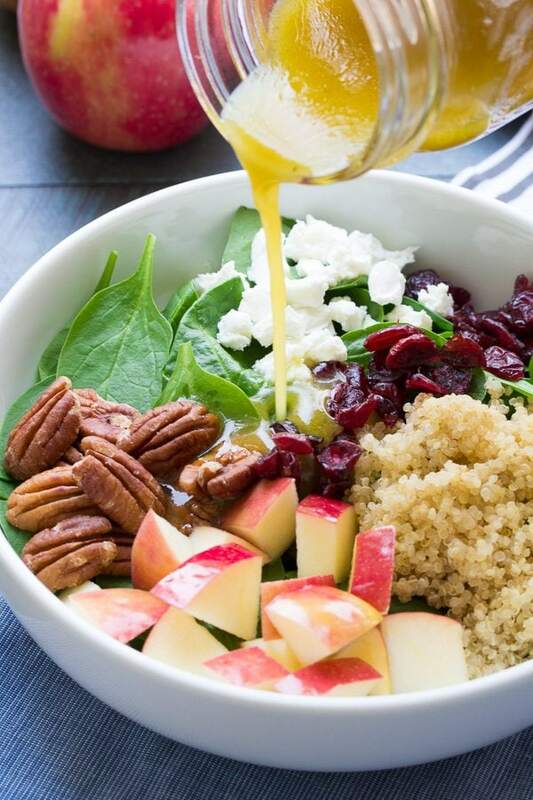 We’re tossing it all in a bright and tangy homemade honey-lemon vinaigrette. The quinoa will absorb a bit of the dressing, soaking up delicious flavor along the way. Yum! Adding quinoa to this salad makes it more substantial and filling, since quinoa is a high-protein grain. If you enjoy eating salads for lunch, this one is a great option. You can even make it a day or two ahead. Wait until right before serving to add the dressing to keep the salad crisp and fresh. You can keep the apple slices fresh for a few days by tossing them with a little bit of lemon juice. My family loved this salad so much that I made it two days in a row, for two different family gatherings. The entire salad disappeared both times, and left us wanting more! Luckily this spinach and quinoa salad is fast and easy to make. Prepping foods ahead is one of my tricks for making healthy eating happen on a daily basis. If I’m planning to make this salad during the week, for example, on the weekend I’ll cook a batch of quinoa and toast some pecans. Taking a few minutes to prep foods on the weekend makes a world of difference when it comes to getting healthy meals on the table during a busy week! This salad is my way to transition into fall, while still holding on to summer. We’re beginning to think about fall flavors, but still want light and fresh foods while warm days linger. 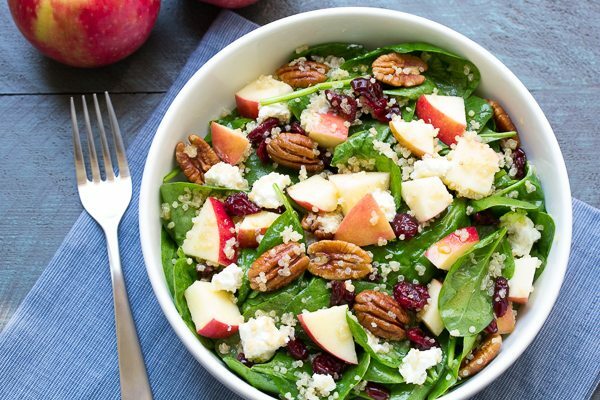 We eat apples year-round, and we’ll be making this Spinach and Quinoa Salad with Apple no matter the season. 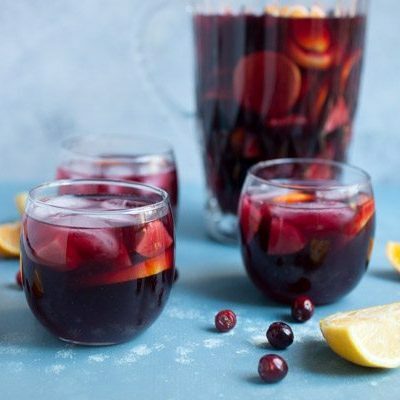 It’s too good to save just for fall! To cook the quinoa, bring 1 cup water to a boil in a small saucepan. Rinse and drain the quinoa and add it to the boiling water. Reduce the heat to a low simmer, cover, and cook for 12 to 15 minutes, or until the water is absorbed. Transfer the quinoa to a bowl to cool. Meanwhile, toast the pecans: place them in a small skillet over medium-low heat and cook until fragrant, stirring often. Watch them carefully as they can go from toasted to burned quickly. Set aside. To make the dressing: In a small bowl, whisk together all of the dressing ingredients. To assemble the salad, place the spinach in a large bowl. Add the cooled quinoa, apple slices, goat cheese, cranberries, and toasted pecans. When ready to serve the salad, toss with the dressing and serve. If you are making the salad ahead, toss the apple slices with a bit of lemon juice before adding them to the salad. Add the dressing to the salad just before serving. 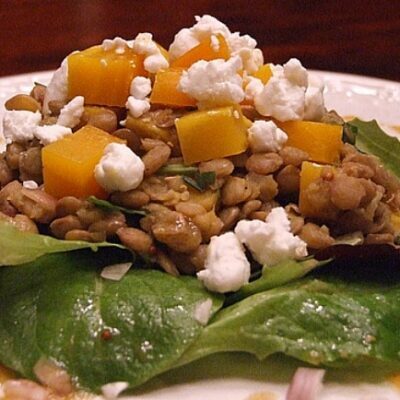 If you are preparing this salad as GLUTEN-FREE, just make sure that your dried cranberries and Dijon are GF. Thank you for this salad recipe. I am definitely going to make it.